Tacos are a good cheap eat that offer a tremendous amount of variety. 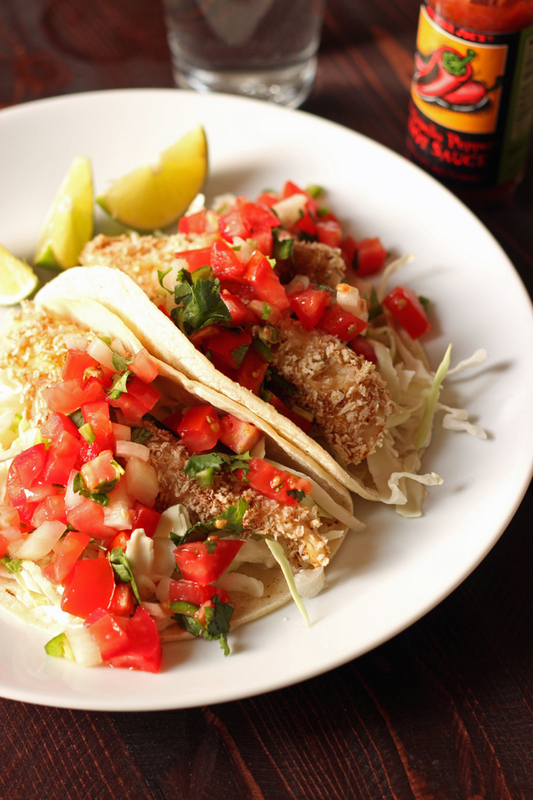 Here are 8 favorite taco fillings that won’t break the bank. Tacos. Tacos. Tacos. What was once an exotic food is now daily fare in most parts of the country. 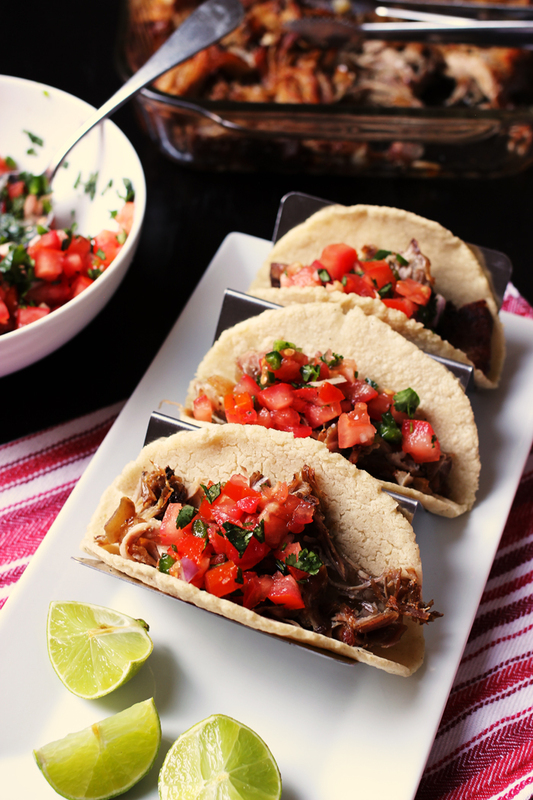 Tacos are filling, fun, and full of great flavors. Plus, it’s not too expensive to rustle up some tortillas and easy taco fillings, making them a good cheap eat, for sure. For our part, my family could eat tacos several times a week without complaint! They’re just so good, particularly when you find your favorite combinations. 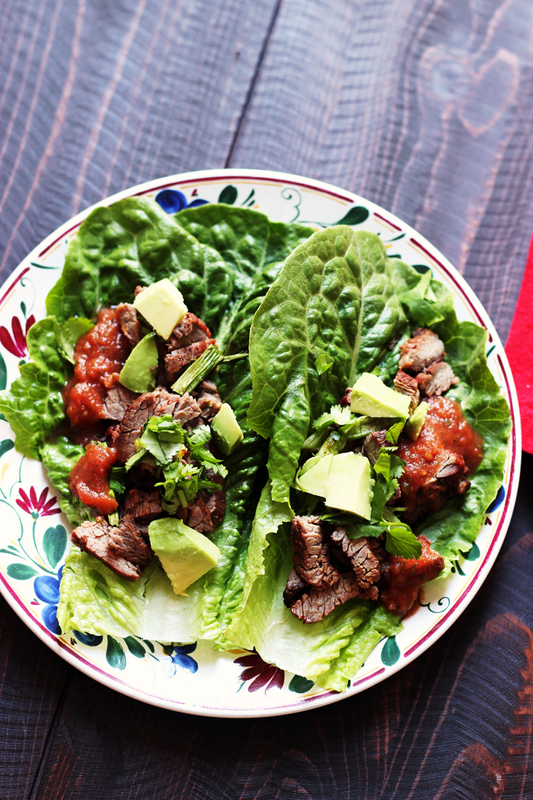 Taco shells can range from crunchy fried shells, soft tortillas (flour, corn, whole wheat), and even lettuce wraps. There are small and large tortillas. You can buy tortillas at the store or make your own corn tortillas or your own flour tortillas. 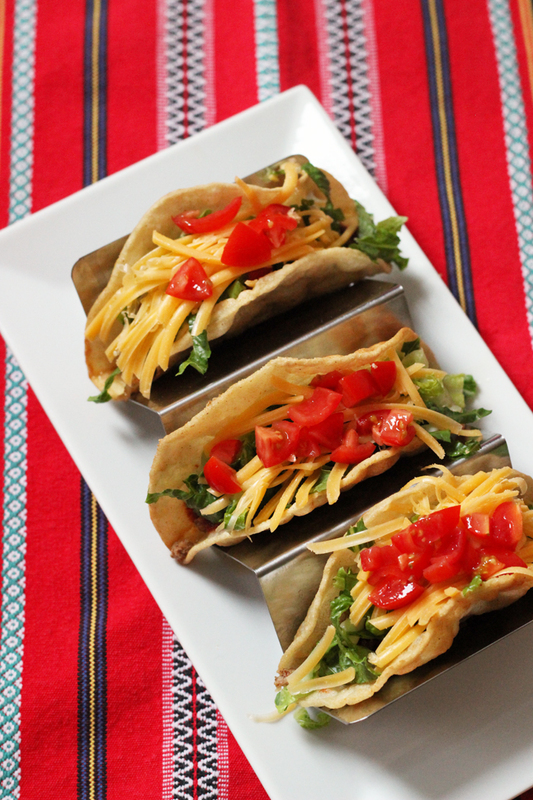 You can even fry your own taco shells – which I might add, are amazing and addicting and probably the best thing to happen to taco night EVER. But I digress…. 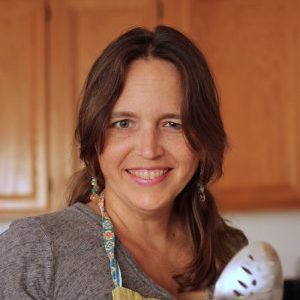 Certain tools come in handy when making homemade tacos, like a tortilla press for making homemade corn tortillas and taco holders or taco baskets for serving tacos. Once you’ve got your shell and you fill it with a meat (or meat and veg or veg) filling, you’re going to want some toppings. Where shells and toppings are concerned, you can pretty much pick up a few commercially made items at the grocery store, but the filling is what really matters. Only homemade is gonna cut it. 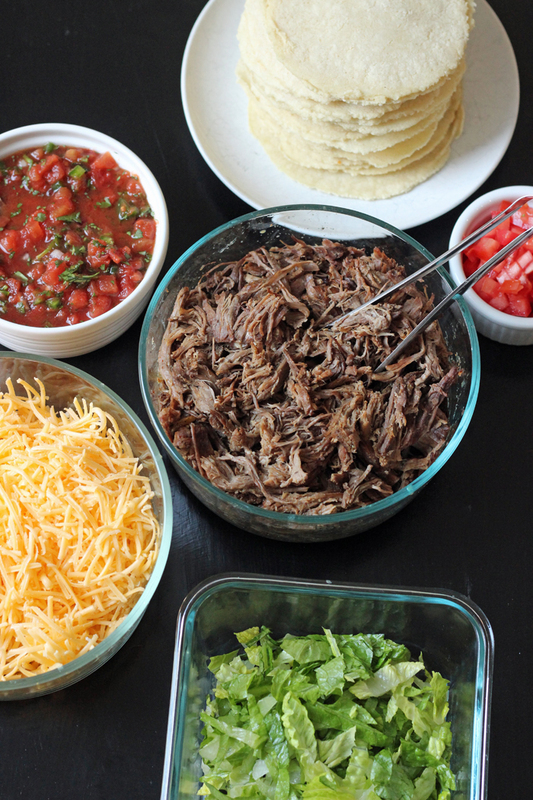 Make taco night extra special with one (or more!) 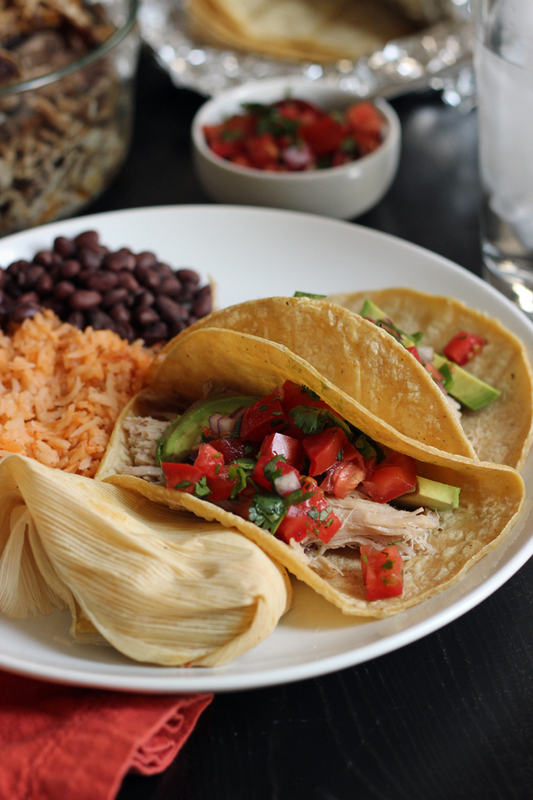 of these homemade taco fillings. 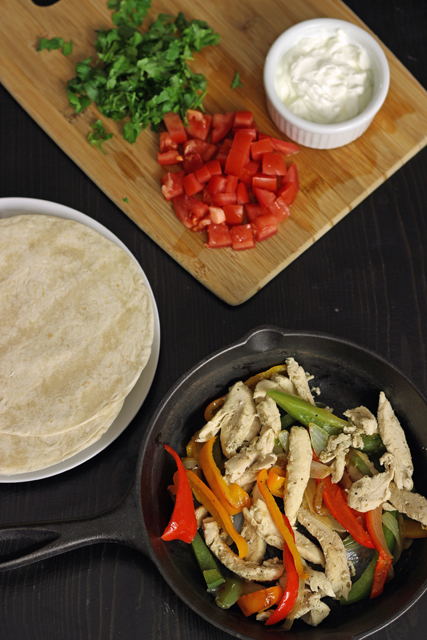 These Easy Chicken Fajitas are a delicious quick fix meal. 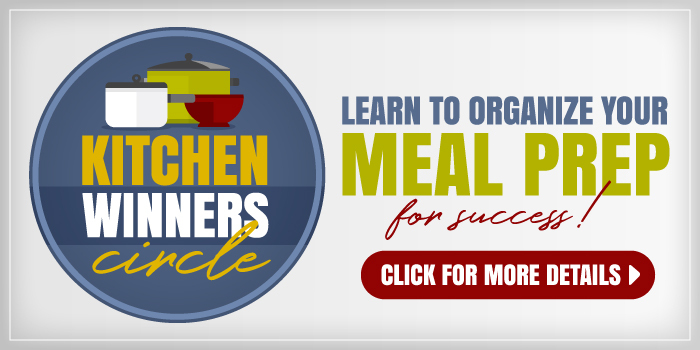 In under 30 minutes, you can be serving up this tasty mix of onions, peppers, and chicken seasoned with cumin, oregano, and garlic. Mix up your own spice mix and make this recipe for Best Ever Pulled Pork. It’s fabulous as a taco filling but it works beautifully in sandwiches, tamales, and wraps as well. This recipe for Turkey and Black Bean Tacos is really simple to make – so simple that my 8 year old niece loves to help make these for dinner. The taco filling is wonderful in crunchy tacos shells, but could also be used as a filling for burritos, chimichangas, or quesadillas. Many years ago, I discovered the beauty of Queso Fundido: spicy sausage covered in a layer of spicy pepper jack cheese. 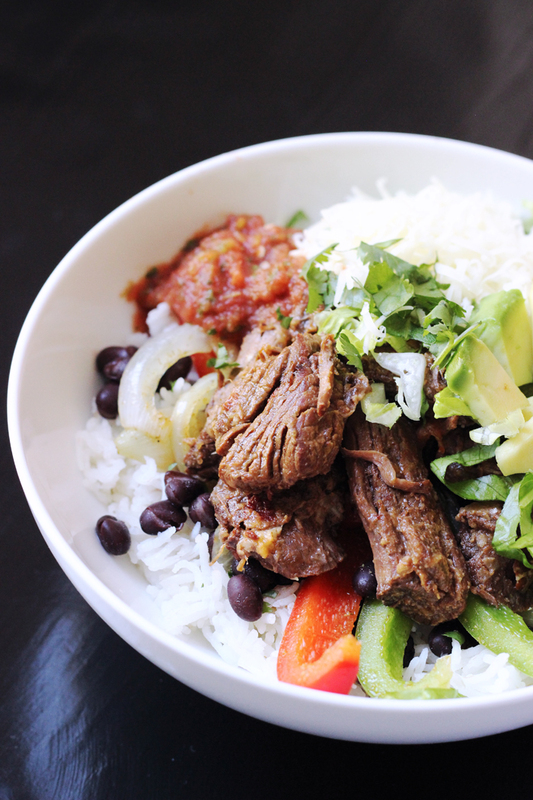 You can serve it as an appetizer, but we love it as a main dish with homemade corn tortillas. So good! 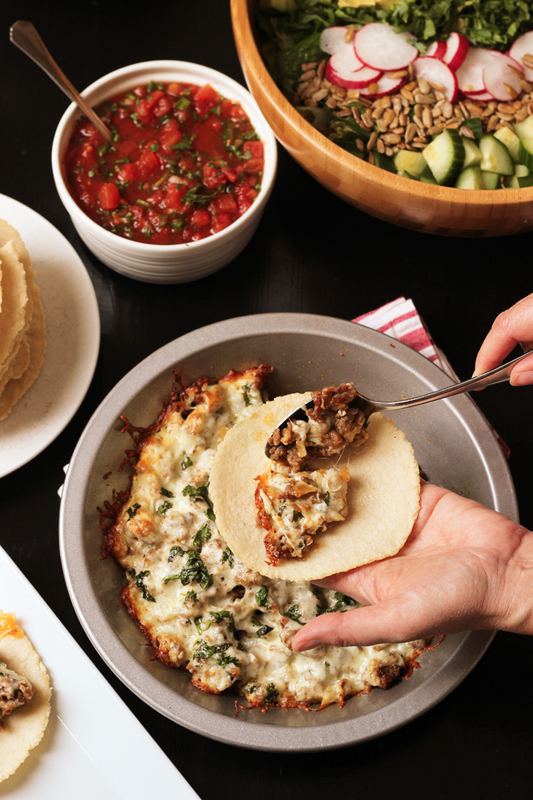 This is for sure a top favorite taco filling at our house. 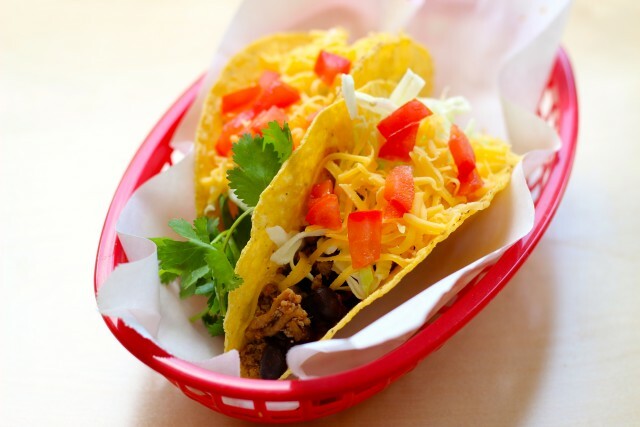 Once you vary the wrapper (crunchy, soft, flour, corn, whole wheat, lettuce leaf), the filling, and the toppings, there’s really no end to the taco combinations you can create. Mushroom mince with lentils is fast, frugal and delicious. Brisket tacos with pepper jack cheese (from Homesick Texan). TBH, I think I like anything I can fold in a tortilla. We visited Fr Worth for 5 days in December and had tacos every day. We ate at Velvet Taco three times; they have very unusual tacos. My favorites were shrimp and grits tacos and cornmeal fried catfish tacos. Yum! 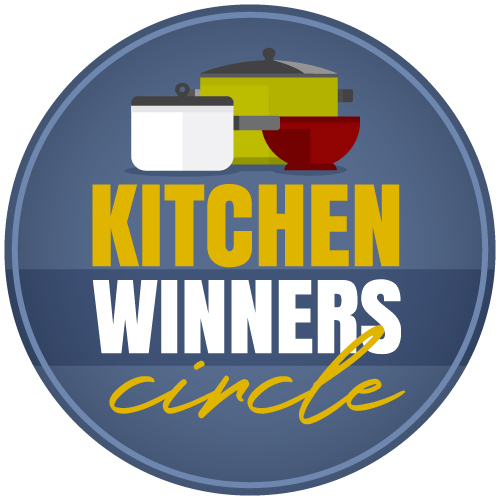 Great inspiration to make at home!